Which little girl has not dreamt of getting married to her handsome prince in a beautiful castle? This stunning wedding venue, Flycatcher Castle, is situated on the outskirts of Graskop towards God’s Window in Mpumalanga. The Castle, set in the style of a 17th century Italian Castle is a fairytale experience for all visitors and guests alike, be it for lunch, tea, a castle tour or a stay over in the luxurious suites. 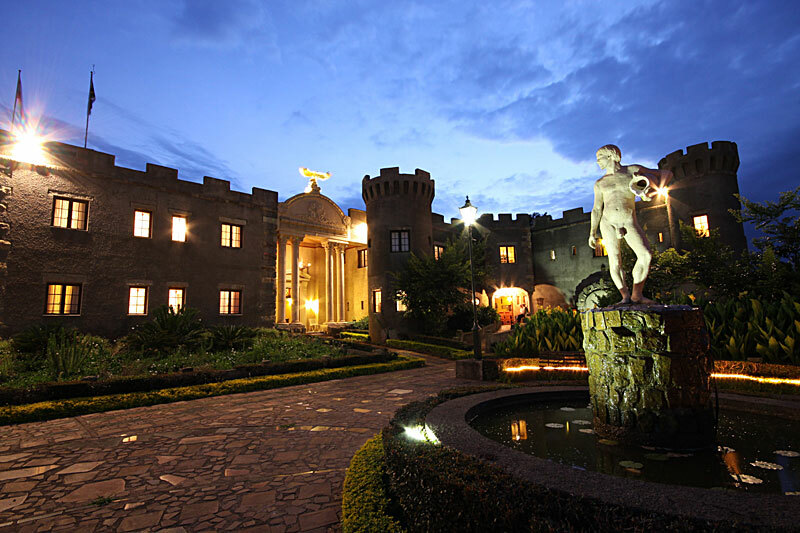 The Castle has a Chapel which can be used for weddings and small intimate gatherings and functions, as well as an art gallery showcasing a variety of bronzed sculptures. Four course dinners are served in Der Rosenkavalier Restaurant, bringing fine dining cuisine to perfectly complete this magical experience. 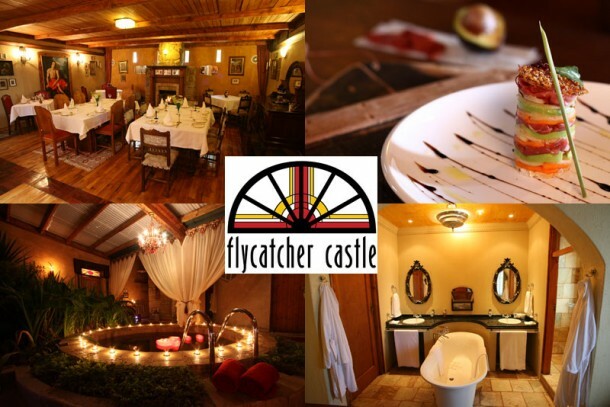 Flycatcher Castle perfectly compliments its surroundings and reflects an awareness and love of nature, with beautiful views across the Mantitshi wetland and river. This home mirrors this peacefulness as the rooms do not have televisions but rather echo Nature’s calls. Found within the garden is a little Eden with a colony of dwarf chameleons, half a dozen of frog species and a variety of birds. An abundance of wild flowers can be found within a radius of 200 meters from the castle … an excellent setting for the most gorgeous wedding photographs! To find out about hosting your wedding at this magical location see Flycatcher Castle for more photographs or to send an enquiry.